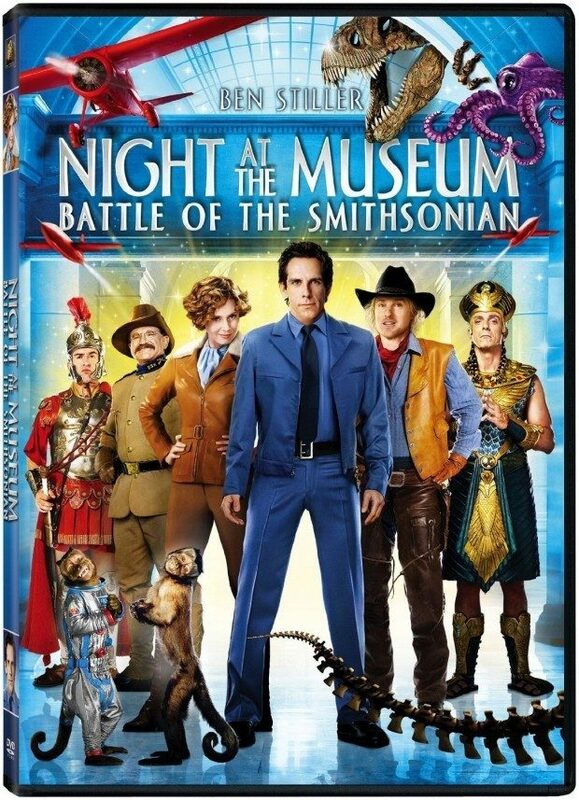 Night at the Museum: Battle of the Smithsonian DVD $4 + FREE Shipping with Prime! You are here: Home / Great Deals / Amazon Deals / Night at the Museum: Battle of the Smithsonian DVD $4 + FREE Shipping with Prime! Head over to Amazon and get Night at the Museum: Battle of the Smithsonian DVD (Single-Disc Edition) for just $4 (reg. $14.98). Shipping will be FREE with Amazon Prime or an order of $35 or more. History is larger than life—and twice as funny—in this monumental comedy sequel that’s “better than the original” (At the Movies)! Ben Stiller leads an all-star cast (including Amy Adams, Owen Wilson, Hank Azaria and Robin Williams) as Larry Daley, a former night watchman at the Museum of Natural History, where the exhibits come to life after dark. But now Larry’s nocturnal friends are being retired to the archives of the Smithsonian Institution, luring him back for a hilarious, all-out battle against museum misfits who plan to take over the Smithsonian…and the world!